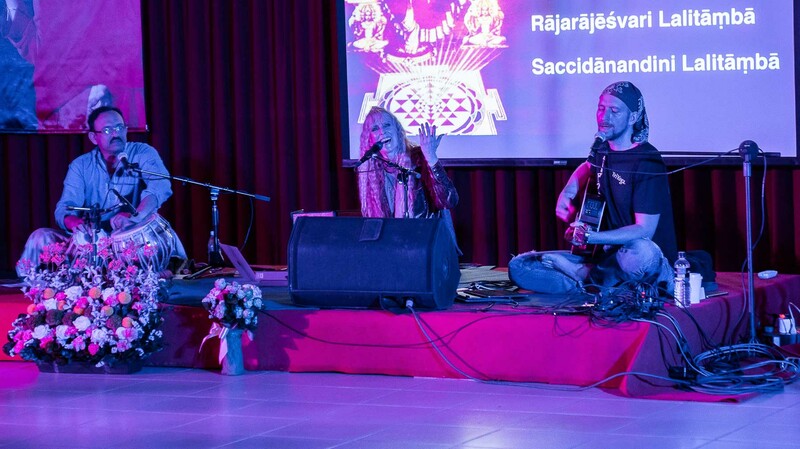 Kaliji’s exquisite voice and harmonium accompaniment have brought chanting to the yoga world since the early days of yoga conferences in the USA. 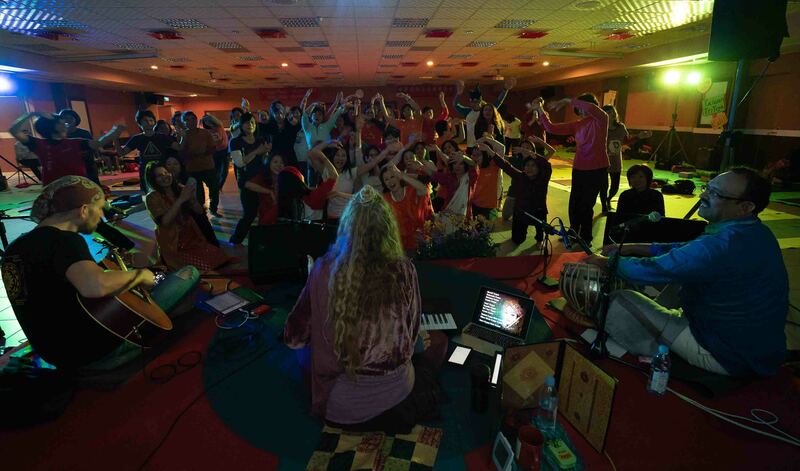 She is the founder of Chant Club and has performed in the USA, Canada, Europe, Russia, India, China, and South Korea. Kaliji was born into a musical family and began studying music at age 7. 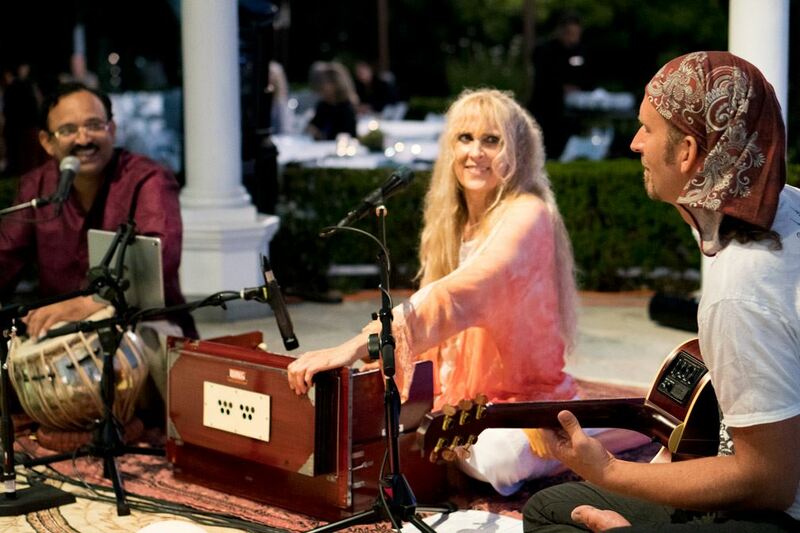 She has explored music throughout her life but her focus has remained on yoga. Kaliji met her voice teacher, Edward Sayegh of the Bel Canto vocal technique, many years ago and recently resumed her studies in Los Angeles. Having studied piano, Kaliji easily played harmonium when she began to lead Kirtana. 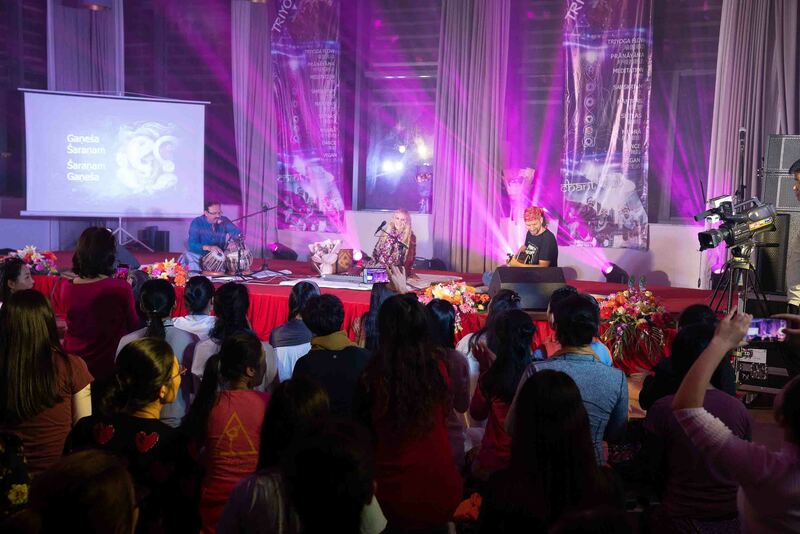 Kaliji is internationally renowned as a yogini and founder of TriYoga® which is taught in 40+ countries by more than 2000 certified teachers with 66 Centers. Bernhard Beibl is a professional guitarist, session and recording artist, composer, and music producer from Vienna. As a rock guitarist he has toured with 7-time Grammy nominated band Tangerine Dream and performed with Brian May of Queen. He is a prolific songwriter with over 3,000 melodic compositions. He also produced music for the Austrian broadcasting corporation ORF. Berni is an active, in-demand guitar teacher and the co-founder of lessonz.com. He originally started on violin as a child and switched to guitar in his teens, graduating with distinction from the prestigious Joseph Haydn Conservatory where he studied jazz guitar with Gerald Gradwohl. Berni is also a dedicated student of TriYoga and is certified to teach through TriYoga Level 3. 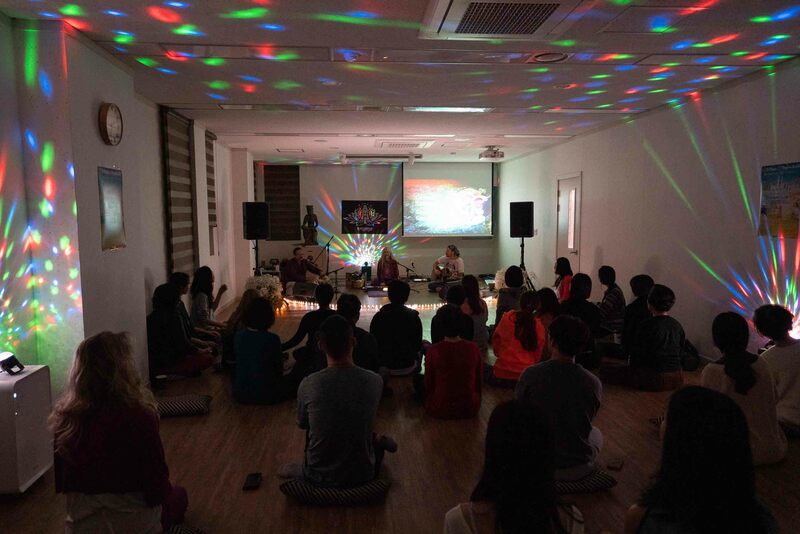 Kaliji was invited to teach TriYoga and offer Chant Club in Goa, India, and she requested the top tabla player. Kaliji and Prasann met prior to the performance. Prasann asked if any students would like to learn tabla, and he offered a lesson to Kaliji for the next morning. That evening Kaliji and Prasann played together and it was natural from the start…and the lesson the next day turned out to be the first of many to follow. Kaliji always loved the tabla sound and had found her teacher for the melodious rhythmic patterns. Kaliji has studied tabla for seven years with Prasann and is excited to play with this rhythm master. 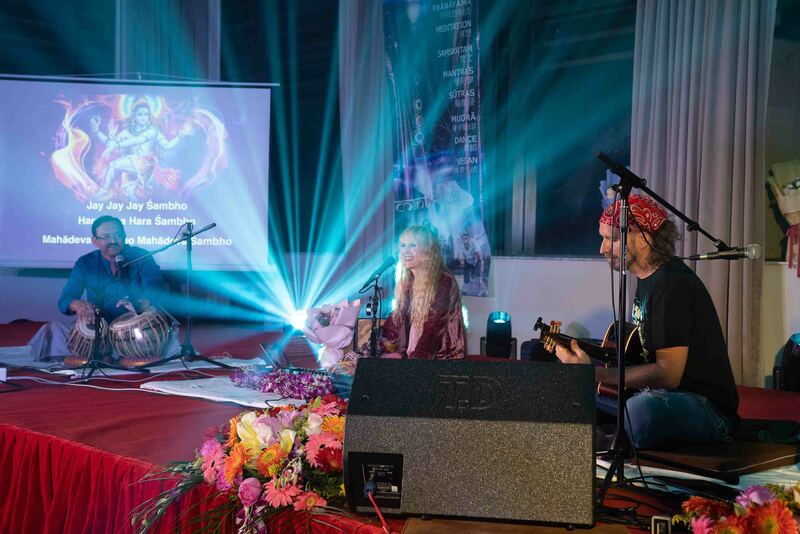 Berni’s musical reputation preceded him, as Kaliji heard that a rock musician was taking TriYoga classes in Austria. By the time of their first meeting, when Berni attended Kaliji’s TriYoga program in Vienna, he was already a certified TriYoga teacher. 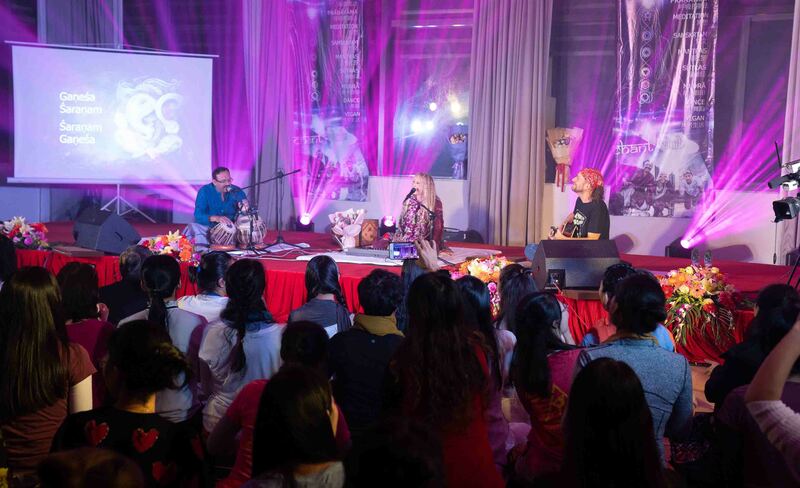 Afterward, Berni commented that during kirtan Kaliji sounded like a rock singer. 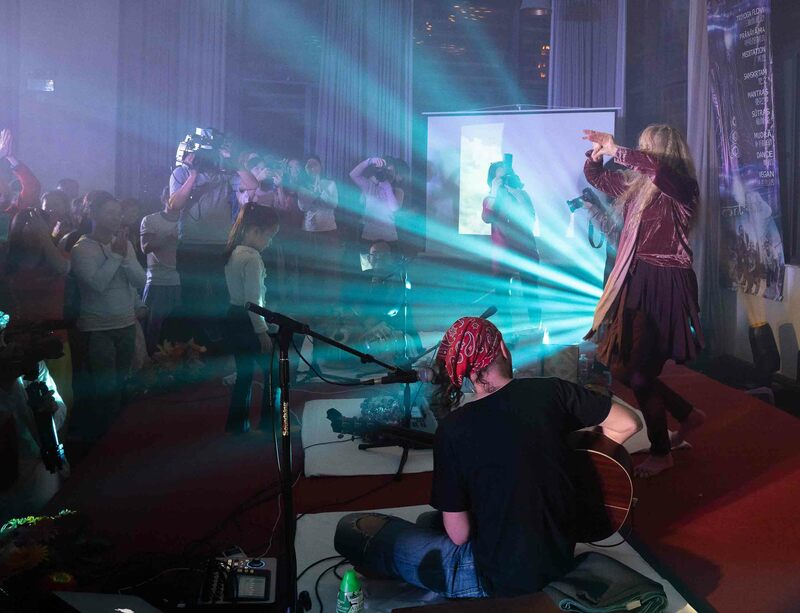 Kaliji is an avid rock singer and is often heard performing songs with a “yoga message” that bring excitement to the dance floor, and has always wished for a rock guitarist in the band. From the start, Kaliji and Berni have had a natural musical chemistry. Kaliji is thrilled to play with this master of melody. 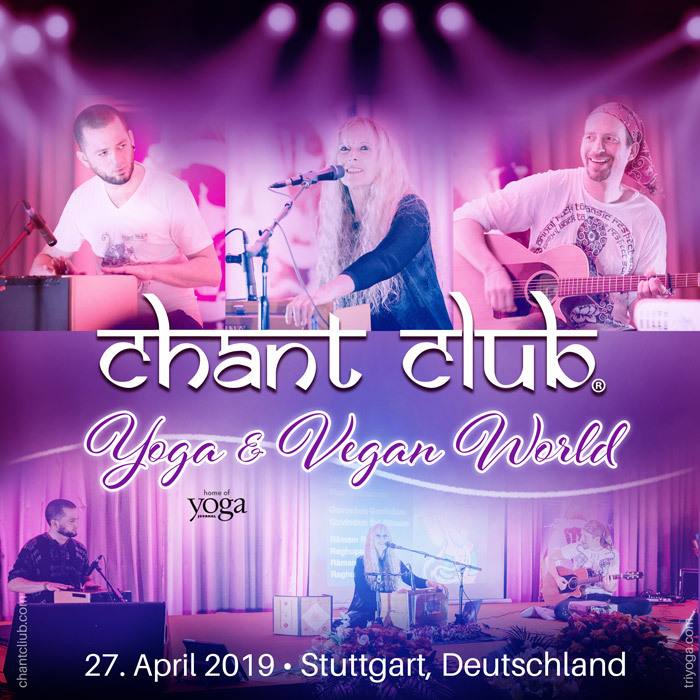 In Europe, Chant Club emerged with Prasann on tabla and Berni on guitar, together with Kaliji on vocals and harmonium—representing the three Vedic celestial instruments of flute (prana), veena (melody), and mridangam (rhythm). They have played since then with great enthusiasm. They all feel that destiny brought them together. Your Voice has certain power to heal the energy. TriYoga Rapping Is Flowing Rocking! 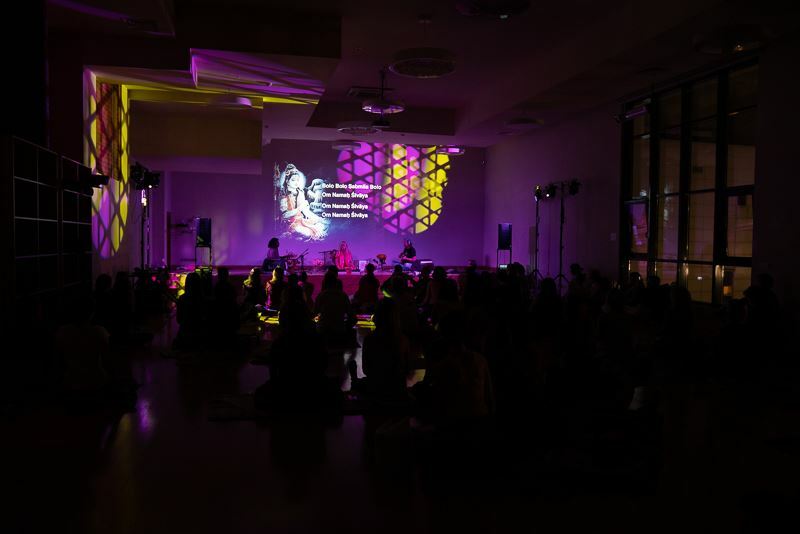 The combination of Bern’s cool rock and Prasann’s classic tabla blend into a uniquely meditative and energizing sound: a experience that can transform and delight. 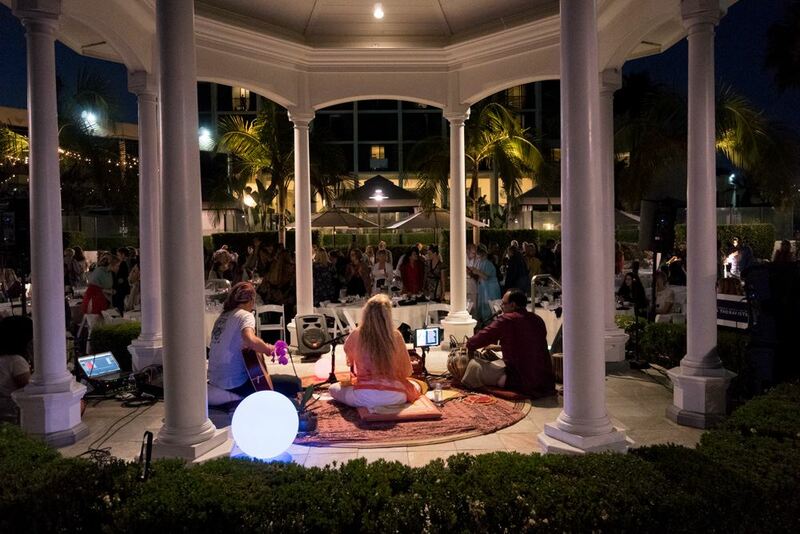 Chant Club events are every time very special happy experience. Magical Kaliji’s voice is calling the heart to sing, dance, feel and love. 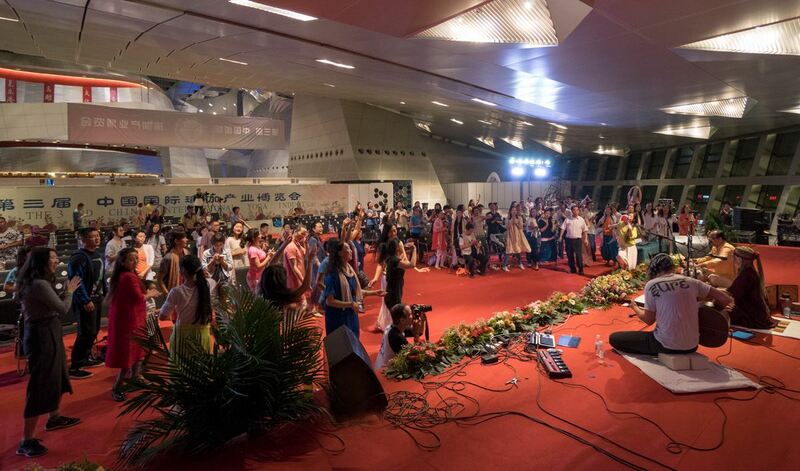 Melody and rhythm of the fantastic master band are merging ancient chants into the modern life. I am looking forward so much to the next chant club satsanga. 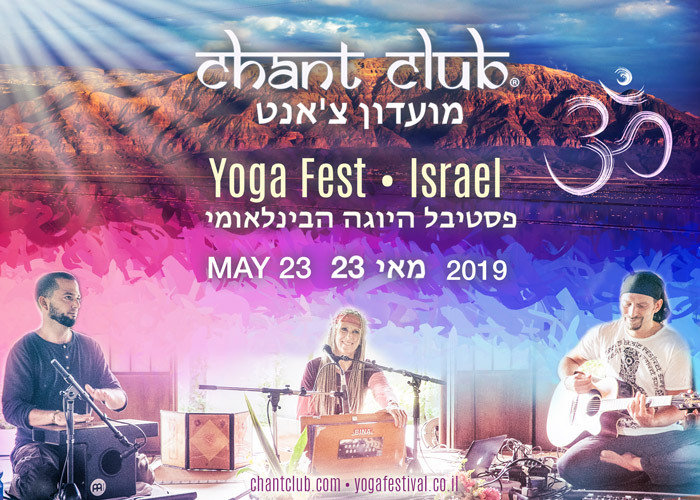 “Music expresses what cannot be said and whereof to remain silent is impossible.” I like Victor Hugo’s quote as witnessing Kaliji’s Chant Club is an experience, that is beyond verbal expression. 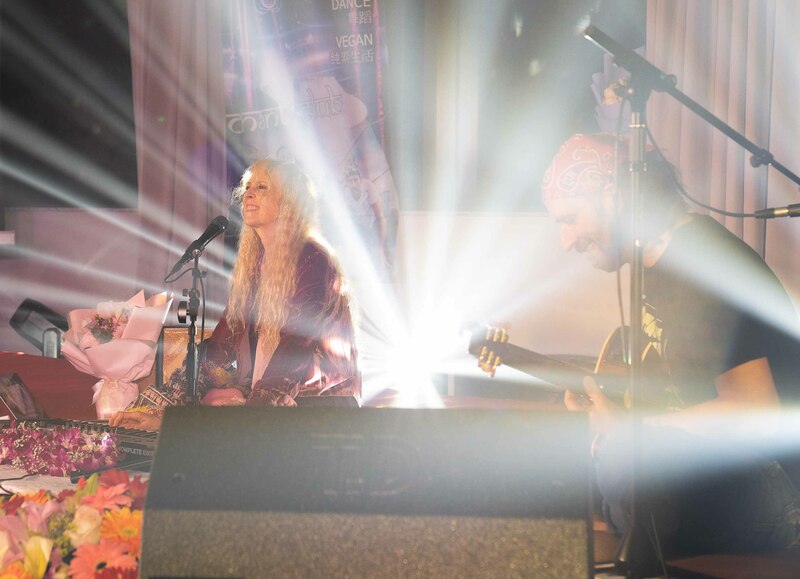 It is the organic musical communication between the musicians that has the power to put one in one’s true light. This magical Trio with Kaliji’s extraordinary celestial voice combines emotional denseness, skilled finesse and brilliant artistry. As soon as the first note sounds one is already right in the middle of a flight through dimensions. Difficult to say exactly where to. But a destination is not needed. 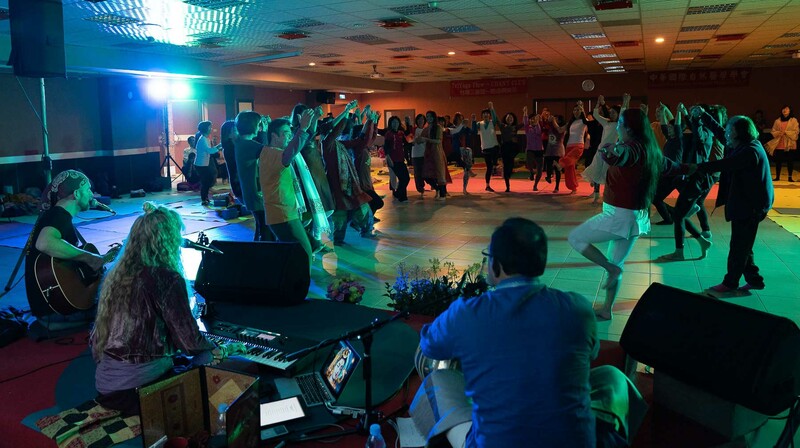 No matter if sitting, dancing, chanting or just listening one is carried away and time elapses very slowly. Kaliji’s voice is so unique that that words fall short to truly describe it. The way it sounds, flows and the energy that emanates from it! 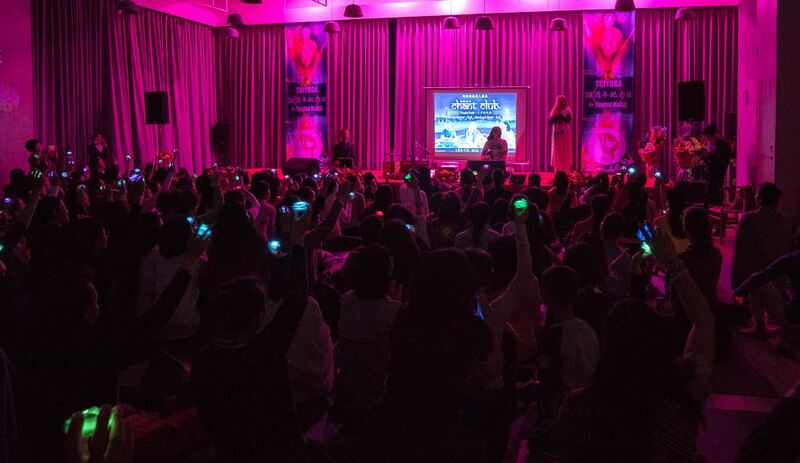 One way to experience Her voice is through Chant Club. Berni’s guitar and Prasanna’s tabla perfectly flow together with Kaliji’s voice! 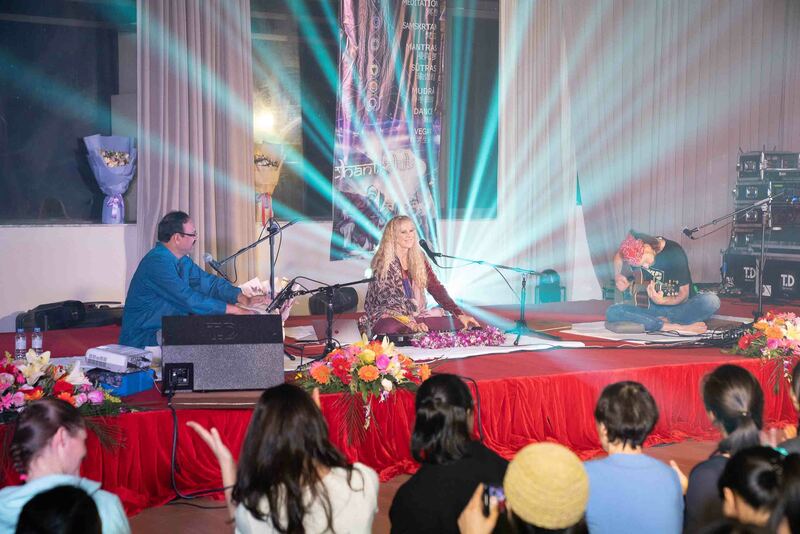 At the end of each chant mind is left complete speechless. Dance into Bliss!!! 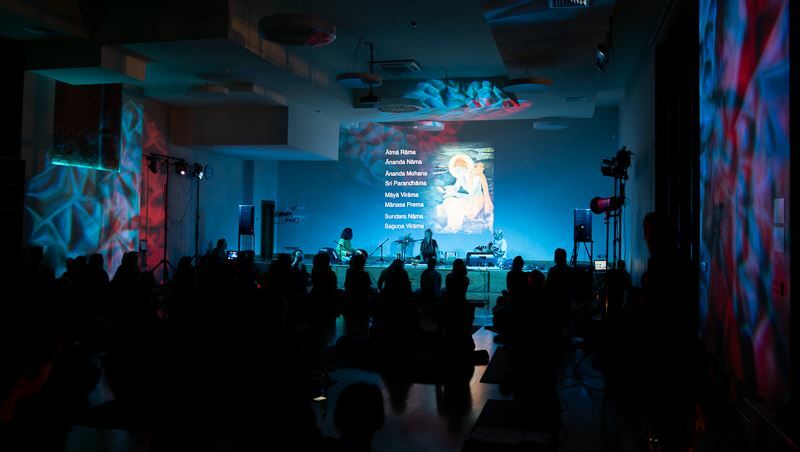 Yoga music for dancing, singing, soaring— Chant Club is the most unique, most energizing music to sing along or listen in joyful meditation. CHANT CLUB takes me back in time with it’s ancient Ragas, and at the same time brings in the element of rock guitar. So danceable, and HIGH VIBE ENERGY. Love their blend of vocals, guitar, and Tabla. Perfect combo for an electric experience. I love to dance and this band moves me!!! CHANT CLUB perfectly blends ancient Ragas, chants, & Tabla with the electric guitar and Kaliji’s powerful voice. All a combination for dance, singing, and meditation. My favorite Chant band ever!!! 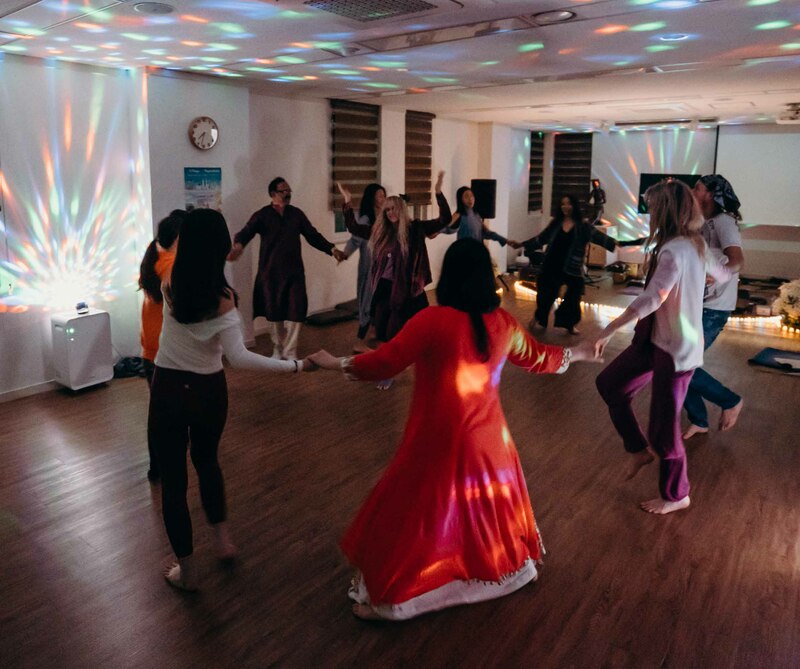 To conclude a long day on a yoga retreat, I cannot imagine anything more blissful than coming together singing and dancing with Yogini Kaliji in our amazing Chant Club. Taking us to higher levels of experience. 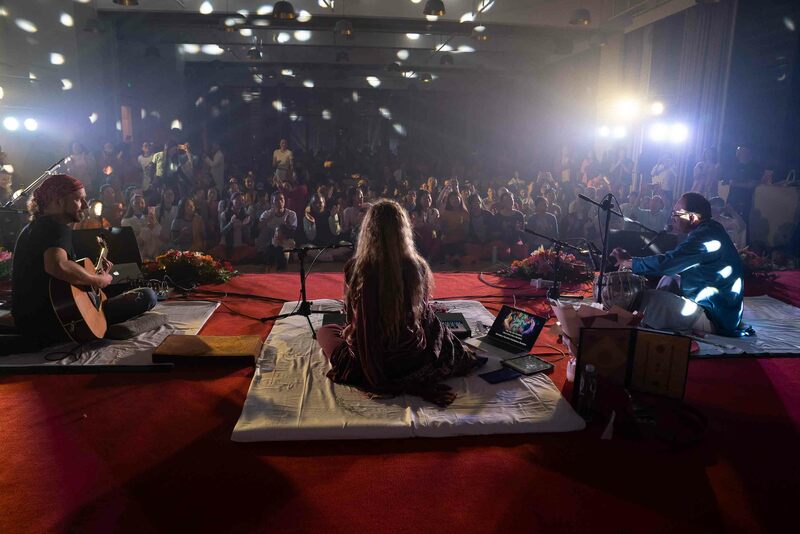 KALIJI’s peaceful, yet vibrant energy is joyfully transmitted through the mystical vibrations of her voice. 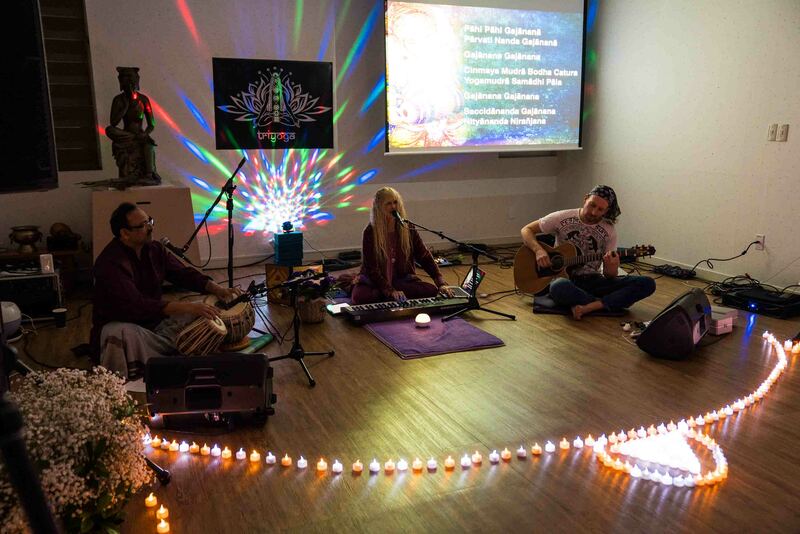 Chant Club makes my meditation the most joyful journey. I deeply enjoy to sit with eyes closed and be welcomed deep inside with their powerful and soothing sound. 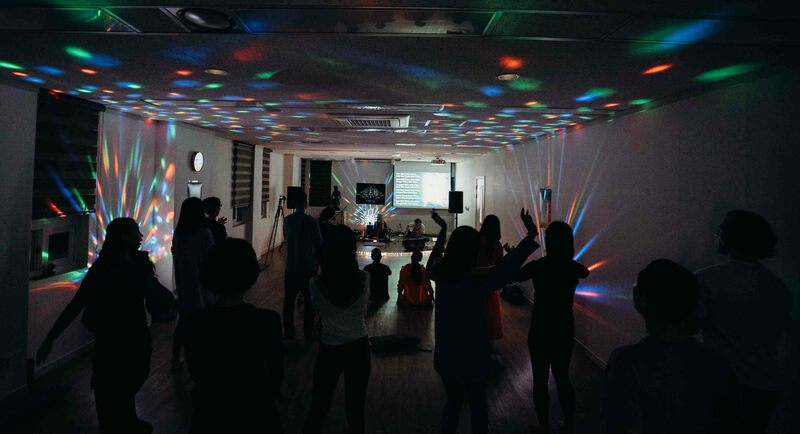 Listening to Chant Club is always a de-LIGHT-ful experience. Chant Club is a real music treat. It is where East and West find its perfect blend. 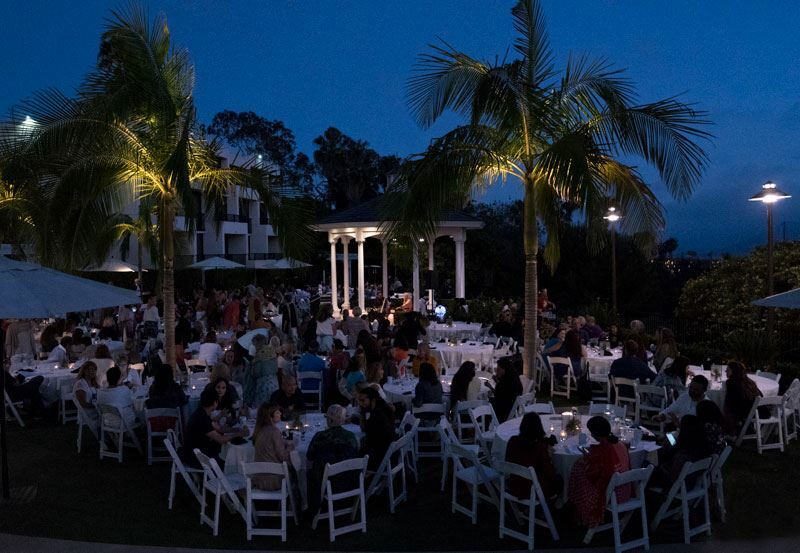 Their music evokes every positive emotion: joyful and energetic from first notes, upbeat, melodious and soulful, taking me into most delightful dancing and so inviting to sing along. In the end, leaving the mind so calm and expansive. 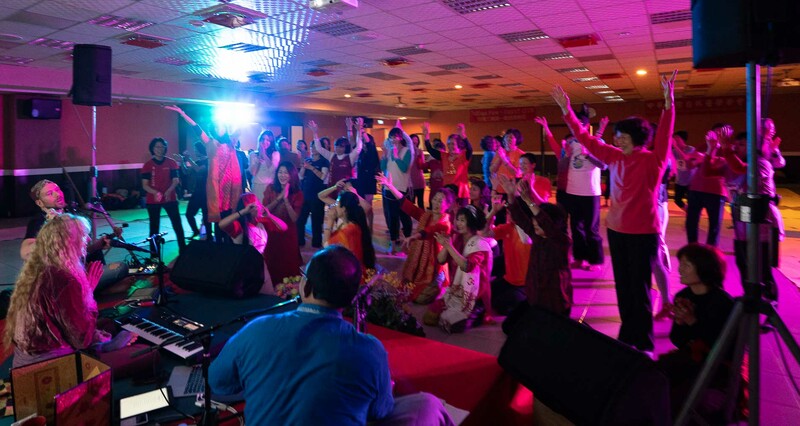 I never thought that Sanskrit mantras can be chanted in such a upbeat and soulful way till I heard Chant Club. Their chanting is a lullaby for my busy mind… From the first song I am taken to the most peaceful and joyful place inside. They are the unique blend of the most beautiful and powerful vocals, energetic guitar and melodious tabla… Chant Club is my favorite band! No music has ever touched me as deeply as Chant Club has. This magical band was my introduction to the path of Nada, the Sacred Sound.